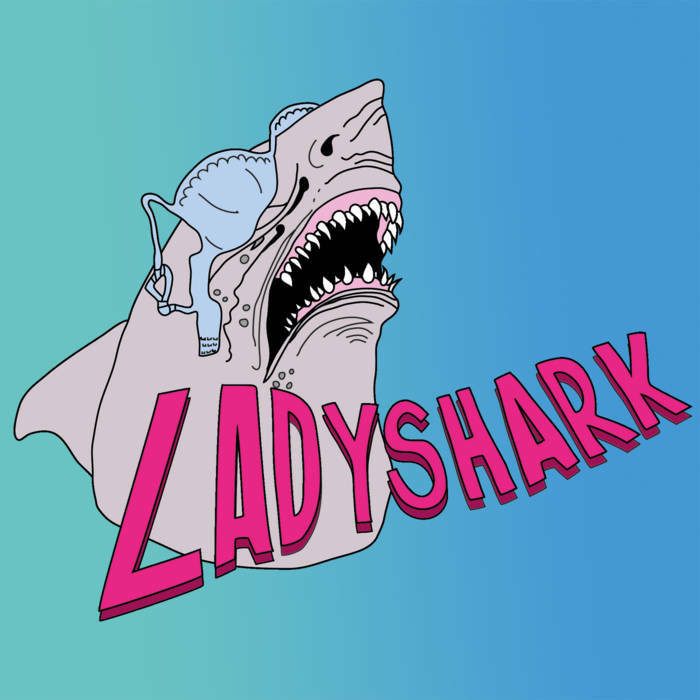 While Monsters, the debut album by Ladyshark, may feel very immediate, it's actually been around for a while. The Nashville punk duet unflinchingly addresses the monsters that have stalked us well before Donald Trump was a sickly twinkle in his Nazi father's eye and, unfortunately, will continue to stalk us for long after. Monsters is a profoundly feminist album that confronts assault, partner violence, and sexism with steady hands, steadfast hearts, and blistering guitar riffs. What the hell is it to run like a girl? When is a job made for a man in the world? How can you make a woman scream? When you tell her she can't do anything! Maybe this just hits a chord with me at the moment -- the holidays are all about spending time with family, reminiscing on childhood, thinking about the roles you have in life and might one day want, and spending time with people whose expectations for you are invariably different from what you want. I also think that these themes are extremely important for a band coming from Nashville, where the expectations for women in music -- especially country music -- are quite prescribed. While most of the album deals with very serious themes, Ladyshark has fun as well. "Seance" details a supernatural experience gone horribly, but entertainingly, wrong. A final note about the album. "New Years Day" describes a conversation with a trans* woman, though the song uses the word "trans sexual" [sic.] For those who may not know, this word is generally out of favor in the trans* community, though there's a reason that asterisk exists. I am not sure how the woman in the song describes herself (if the song is in fact a true story), but in general usage it's better to simply use "trans" or ask the individual what words they use to describe hirself. If Ladyshark has any details to add I'm happy to update this post. Or maybe find out in person! Ladyshark will be playing an album release party for their new album Lovesick (to be reviewed here soon) tonight at The 5 Spot at 8! Details here! Thanks for reading! Help me help you find great music and get my holiday shopping done! Subscribe to my Patreon or drop a one-time tip in my Ko-fi cup!